A profile mother daughter portrait. 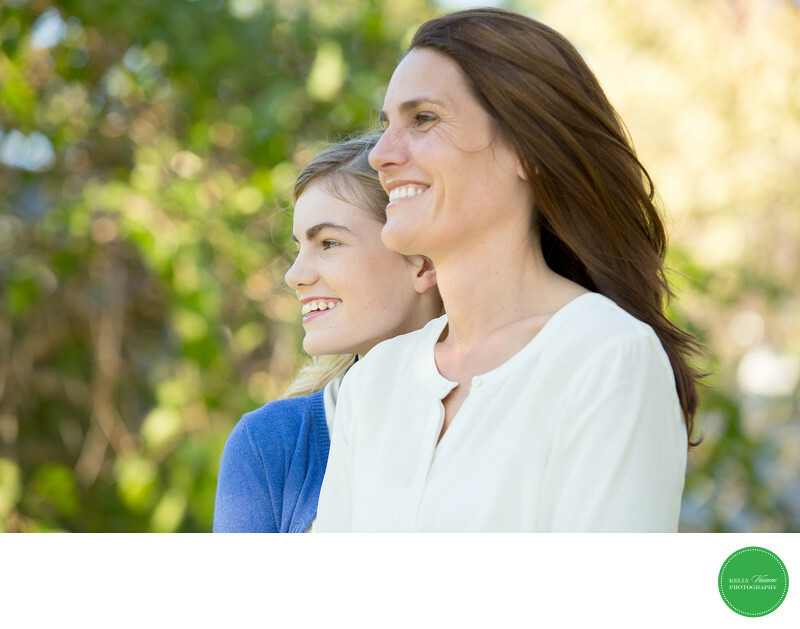 Both mom and her girl have wonderful smiles and their similarities are captured well in this side by side portrait. The background is natural and blurred into little spheres of light, creating the extra pop for the main subjects here.